Vincenzo Nibali is the current saving grace of Italian cycling. In a period when the country is short on winning riders, Nibali has delivered them Grand Tour wins as well as exciting racing and has victories in the 2014 Tour de France, 2013 and 2016 Giro d’Italia and 2010 Vuelta a España. Nabali continues to ride for Bahrain-Merida. In 2018, his sights were set upon the 2018 Tour de France general classification – however a crash on stage 12 saw him DNS the following day. Nibali failed to impress at the Critérium du Dauphiné – which is often used as a warm up race for the three-week adventure in France. The Italian rider rolled in 27th on the GC, 21 minutes 12 seconds down on winner, Geraint Thomas (Team Sky). At the 2017 Giro d’Italia, Nibali led his new Bahrain-Merida team in their first year on the WorldTour Stage and he featured on the start list as a prime contender. With more time trial kilometres included in the 2017 Giro route than the de France, the leader and his team mates spent time in the wind tunnel, perfecting their set up aboard the Merida Warp TT bike in advance. However, it was not enough to topple eventual winner Tom Dumoulin who reclaimed the maglia rosa after a second place time trial performance on the final stage. Nibali finished the 2017 Giro d’Italia in third place on the general classification, behind Nairo Quintana (Movistar) in second place. The Italian took a win on stage 16. Nibali is often touted as a traditional rider in a modern era and is known for his descending skills. However, his 2014 Tour win was partly a result of painstaking work based on his power output and that of his rivals, masterminded by his coach Paolo Slongo. Having won the 2013 Giro, the Italian took the brave move to skip his home tour in 2014 in favour for another assault on the Tour de France. It was a move that proved hugely successful. An opportunistic win on stage two in to Sheffield was followed by a sublime ride over the cobbles to set up a dominant three week performance. As his rivals fell by the wayside, Nibali grew stronger, dominating in the mountains and not showing a weakness. Nibali had a busy winter after his 2014 Tour victory, and started the 2015 season slowly in comparison to the previous year. He was off the pace of his key rivals Chris Froome and Nairo Quintana throughout the 2015 Tour and finished in fourth place behind Froome, despite winning a stage in the Alps. Nibali himself said during the race: “I don’t even seem like the brother of Nibali from last year. I don’t know the problem”. Nibali’s 2015 season then went from bad to worse, as he was disqualified from the Vuelta a España for holding on to a team car. However, a late-season surge in form saw him claim Il Lombardia after a masterclass show of decending skills, his biggest one-day race win to date. 2016 looked to get off to a better start for the Italian champion, as he took overall victory with an impressive climbing display at the Tour of Oman. But again, Nibali looked off the pace in the build-up to the Giro d’Italia in the Tirreno-Adriatico and Giro del Trentino. Things didn’t seem to get much better once the 2016 Giro started either, with Nibali struggling to hold on to the likes of Steven Kruijswijk (LottoNL-Jumbo) and Esteban Chaves (Orica-GreenEdge) in the Dolomite mountain stages. But you can never write him off. In the final two huge mountain stages, Nibali began his comeback from over four minutes down on Kruijswijk. The Dutchman crashed on the Colle Dell’Agnello descent, but the Sicilian showed he was stronger than the rest as he rode away from Chaves and Alejandro Valverde (Movistar) to take the stage win atop the climb to Risoul. That moved him into second place, 44 seconds behind Colombia Chaves going into the final mountain day. As Chaves struggled on stage 20, Nibali and his Astana teammates played the tactics perfectly to aid his attack on the penultimate climb of Colle della Lombarda, leaving Chaves behind to take his second Giro victory. His 2016 win was Nibali’s final assault on the Giro overall with Astana. For the 2017 season, he is leading the new Bahrain Cycling Team. The season didn’t get off to the best start, with Nibali finishing out of the top ten on GC at Tirreno-Adriatico – a race he won in 2012 and 2013. He commented that his new Bahrain-Merida team had made some mistakes, and perhaps lacked condition. However, he has shown signs of a return in form ahead of the 2017 Giro, with a win at the Tour of Croatia – which he dedicated to former Astana team mate Michele Scarponi, who was hit by a van on a training ride. Italian star Vincenzo Nibali (Bahrain-Merida) says that cycling is suffering at home amid pushes for a crowdfunded WorldTour tour team to put the country back in the top ranks. Grand tour star Vincenzo Nibali is working with his new Bahrain-Merida team-mate Rohan Dennis to improve his time trial ahead of the Giro d'Italia. Vincenzo Nibali plans to ride both the Giro d’Italia and the Tour de France in 2019. Winner of all three Grand Tours Vincenzo Nibali remains hungry for wins "other important races." Vincenzo Nibali would consider moving to Team Sky in a leadership role. Vincenzo Nibali is due to head back to France to speak to magistrates after suffering a fractured vertebra during a crash in the Tour de France. The Italian riders tackling the slopes of Innsbruck at the World Championships later this month have been announced. Vincenzo Nibali has abandoned the 2018 Tour de France after being diagnosed with fractured vertebrae following a crash with four kilometres to go on stage 12. 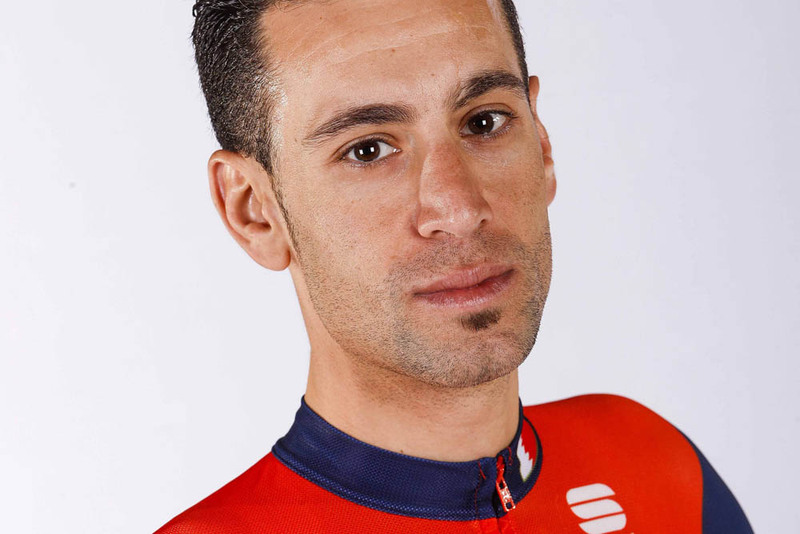 With the Tour de Suisse attracting most of the big Tour de Franc names this year, Vincenzo Nibali is one of the few who will be sticking with the Dauphiné. Vincenzo Nibali has abandoned the Tour of the Basque Country because of what's described as a "painful skin lesion located in the rider's seat area". Vincenzo Nibali took a heroic victory in the 2018 edition of Milan-San Remo, attacking over the Poggio then holding off the sprinters to the line.